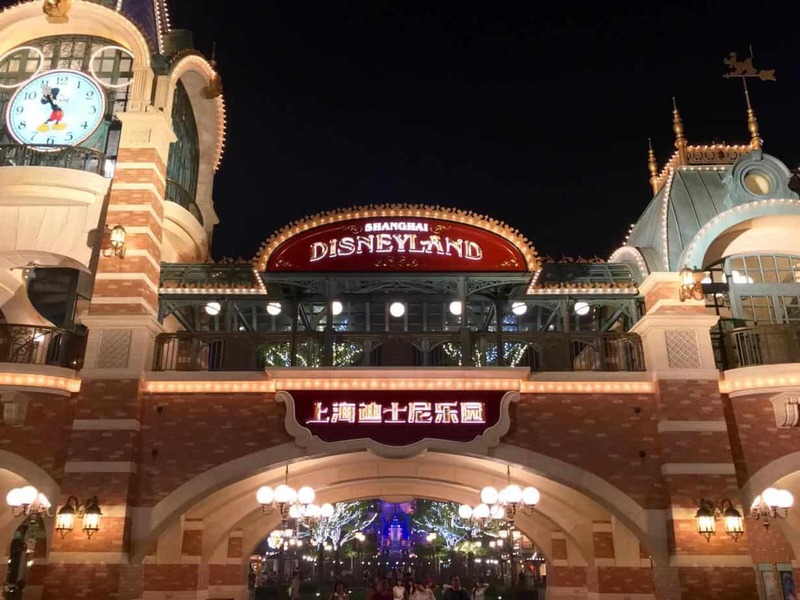 Here’s part two of our Shanghai Disneyland Grand Opening trip report! If you haven’t already, make sure to read part one. That’s where we discuss our stay at The Qube Hotel in Shanghai, how we got to the Resort, and my recommendation on SIM Cards for visiting Mainland China. 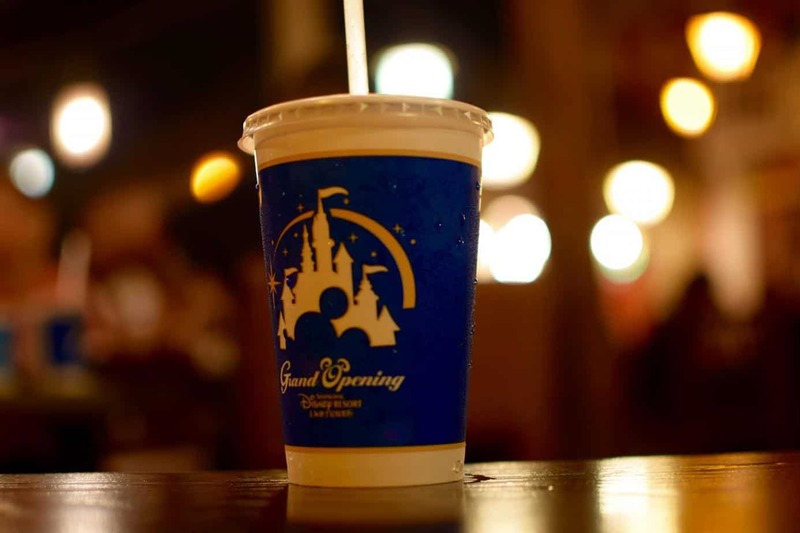 This report is a continuation of June 16, 2016, the first official day of operations at Shanghai Disneyland. We left off mid-afternoon as we enjoyed a prime spot—shoutout to Bryson for the idea—for Mickey’s Storybook Express. 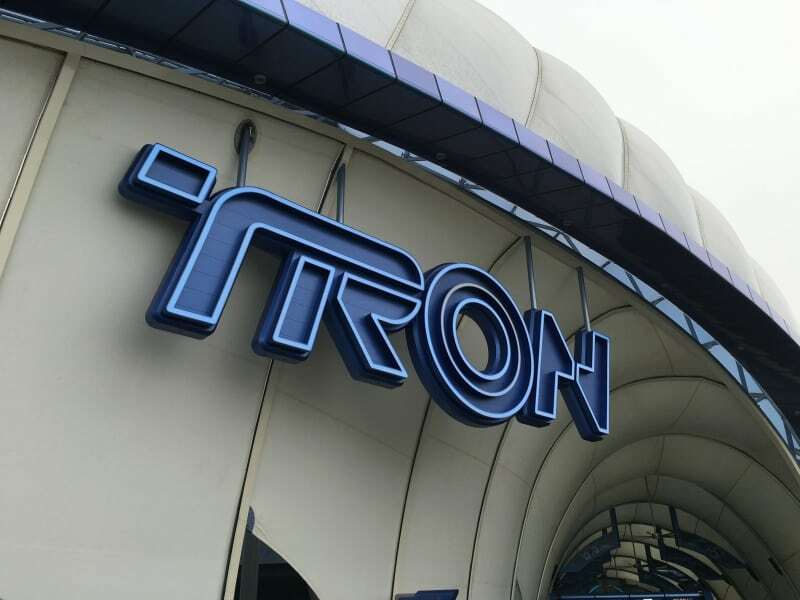 It was time to finally experience TRON, which was one of the rides I was most looking forward to. 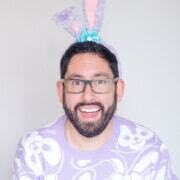 I didn’t give in to the temptation of watching ride-through videos, as I wanted everything to be a complete surprise. Before hopping into the FastPass line, we shoved all our belongings into a locker. These lockers are just outside the attraction and are provided free of charge. The permanent lockers use a touch screen to open the lockers for you, and there is English on the terminals. There were also temporary lockers (which I am guessing will be removed in the future as they did not appear to bepermanent), which cost 1RMB—it’s a coin—and you got your money back when you took out your belongings. The attraction is designed in such as way that you can’t wear any backpacks or loose articles, and this is the reason for the lockers. 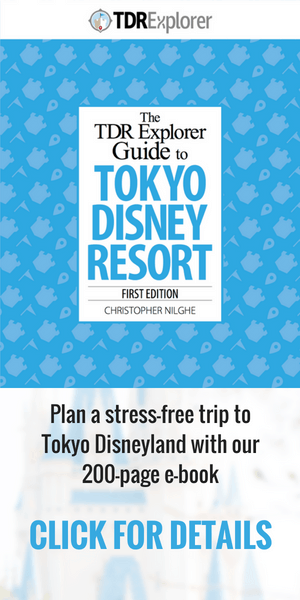 There is, however, a small compartment on the attraction itself where you put your smartphone, glasses, wallet, etc. Once everyone had their belongings stuffed into a locker, we all jumped into the FastPass line. At first, the queue seemed underwhelming, but that quickly changed once we got into this small room. A huge glass wall displayed TRON-esque graphics and effects accompanied by a computer-sounding voice (in Mandarin). Just when I thought it couldn’t get any better, the glass wall became transparent and the music changed dramatically. This is when we saw the lightcycles full of guests pull up and prepare for launch. A loud, pulsating sound counted down the ride, all while the lights were in sync with the pulses. Then the lightcycles took off into a tunnel. It takes quite a bit to surprise me, but this truly caught me off guard and had me saying, “That was possibly the coolest thing I have ever seen!” (I am not one for being articulate with my wording, so bear with me). Once we passed that portion of the queue, we were split out into a large room similar in style to Space Mountain. Climbing on the lightcycle was rather interesting since you climb on and then lean forward. After, you pull the handles towards yourself, locking your body into place. A back rest goes on your back and bars go behind your calves, which keeps you secure. 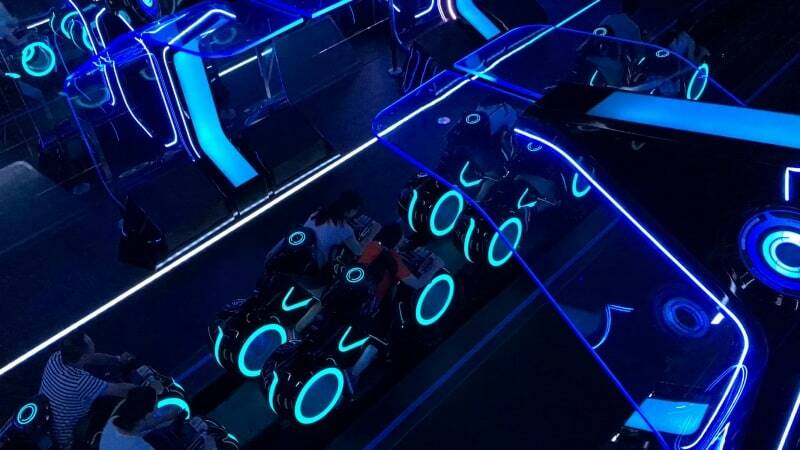 The only downside is if you have large calves the bars may not be able to close, meaning you can’t ride in the lightcycle, unfortunately. 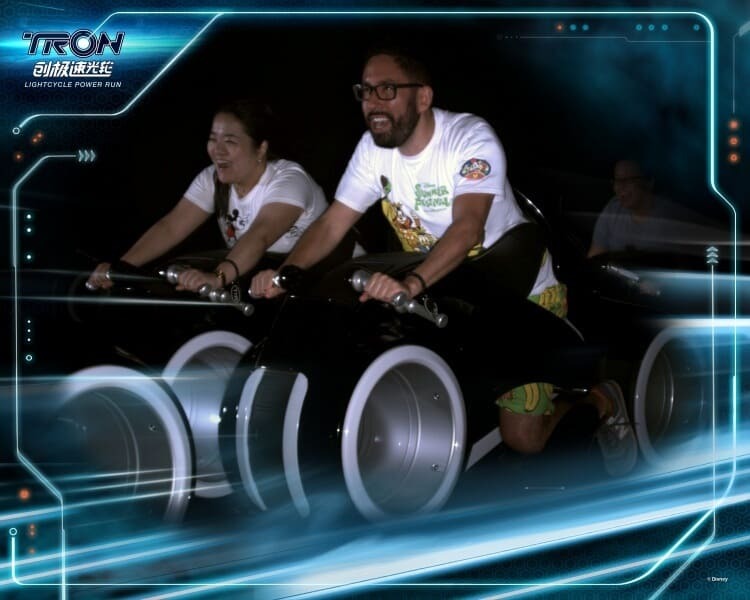 They have an accessible lightcycle for guests who are unable to get on the bikes, which is a typical ride seat with a lap bar. After I got myself situated and locked into place, it was time to enter the grid! Our lightcycles began rolling and took us into the “launch room,” which we saw earlier. It’s definitely a better experience being the participant rather than the observer, of course. The launch was much faster than I was expecting—nowhere near what Rock n’ Roller Coaster is, but it still took me by surprise (which is evident in the PhotoPass photo that was snapped of my friend and me). After everyone got off the attraction, we all raved about how well-executed TRON was. The unanimous complaint, however, was that the ride was too short. But if that is the only complaint, then that isn’t the worst thing in the world. Upon exiting, Cast Members presented us with another certificate stating we rode TRON during the Grand Opening! By this point, everyone had started to run on empty, meaning it was time to eat! We took the long trek back to Treasure Cove to enjoy Barbossa’s Bounty. 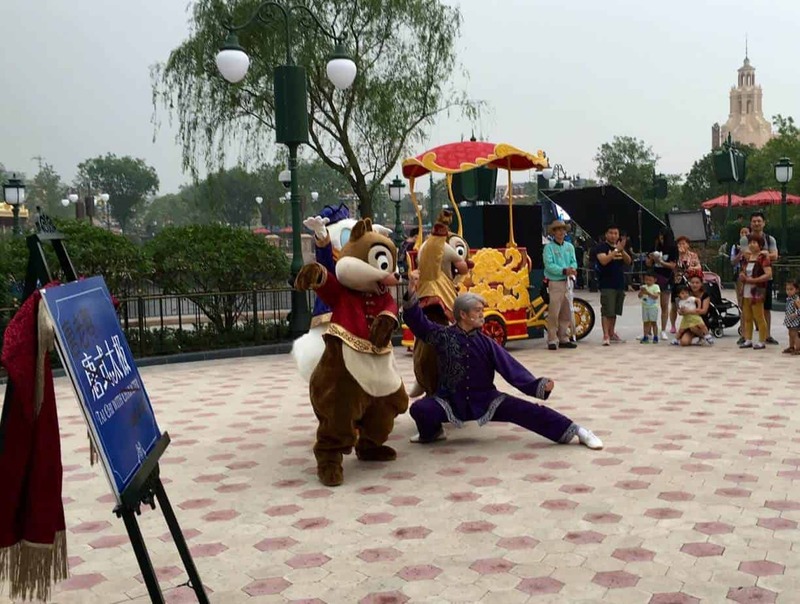 Along the way, we ran into my favourite furry friends, Chip N Dale, who were practising their Tai Chi in the Gardens of Imagination. I can’t think of a better way to fuel up than shoving BBQ ribs into my face. Thankfully, Barbossa’s Bounty over in Treasure Cove heeded my call. 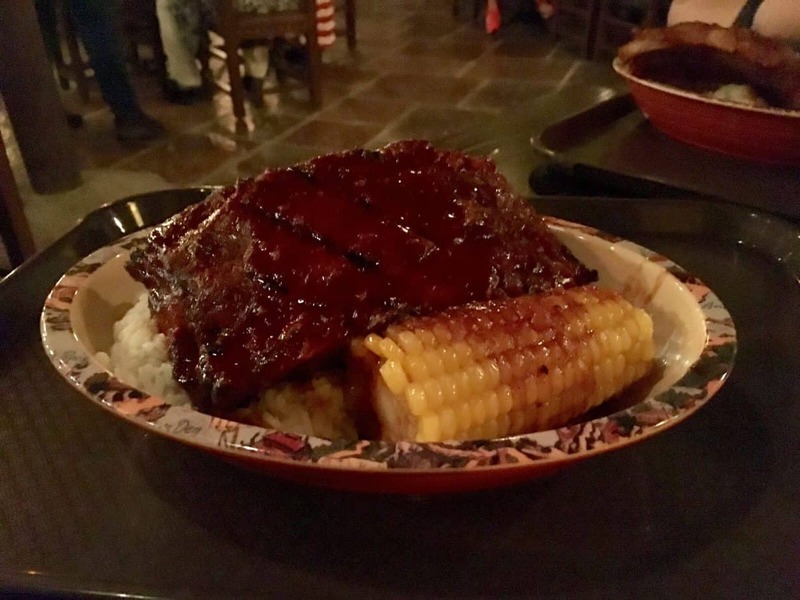 Barbossa’s Bounty is a counter service restaurant where part of the seating overlooks Pirates of the Caribbean—similar in style to the Blue Bayou. With such a gigantic group—remember there were 9 of us—I was concerned about finding tables together. There’s ample seating, so this was a non-issue. We seated ourselves in the area which overlooks Pirates, and it was definitely worth it. Barbossa’s Bounty is set up to represent multiple buildings, each with similar yet different theming in each. If you didn’t jive with one room, just move over to the next. This is biased, but the “outside” seating where you overlook the attraction is my favourite. Most people in our group opted for the BBQ ribs, and with good reason. The ribs fell off the bone and melted in your mouth! What more could you ask for? I didn’t realise how much I missed BBQ ribs until the first piece hit my lips. BBQ ribs aren’t common in Japan, so you can imagine my pleasure. My only complaint is the corn on the cob had the texture of plastic and tasted as such. Not sure if that is common in China or the corn at Barbossa’s Bounty is just plain terrible. The feelings towards the corn were unanimous with everyone at the table. One upside is we did get these cutely designed cups for our drinks! After stuffing our faces with BBQ Ribs (seriously have them when you visit, just avoid the corn) our group decided to break into smaller components. 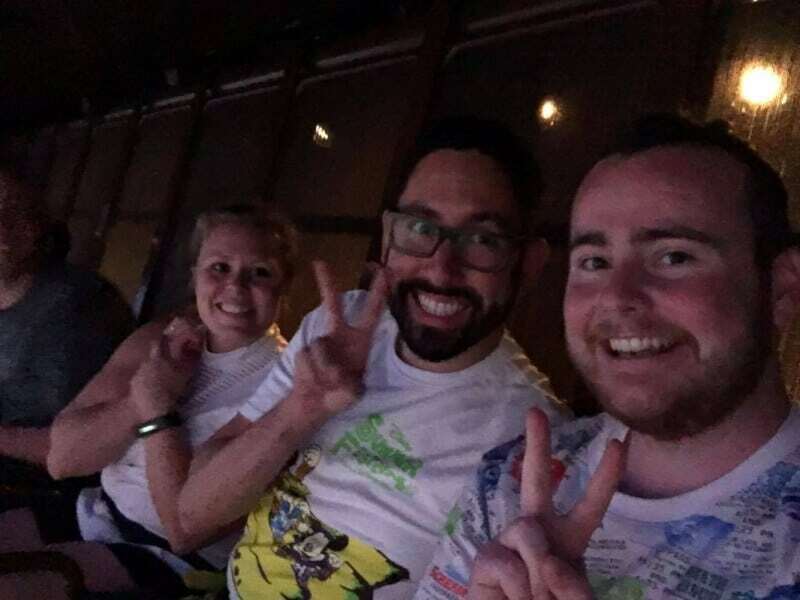 A few of us decided to wait in the 2.5-hour standby queue for Soaring Over the Horizon. The first part of the queue is, frankly, mind-numbing, boring, and uninspired. The first thought going through my head was, “If this is how the entire queue is going to be, then I am so glad to be in great company.” But I do love being proven wrong. Not only was the company I kept fantastic—you know you are—halfway through the queue you enter a gigantic dark room. Now, I can admit that impressing me is not hard, but this room exceeded any expectations I had (which were none, for the record). This large room boasts possibly one of the best surprises I have encountered in all my years of queuing (living in Japan, I have learned to love queuing). Above you is a stunning display of stars and a version of the Milky Way. It doesn’t stop there either: the Milky Way shows various animals flying through the stars. Photos don’t do it justice. Experience it for yourself when you visit and you’ll see exactly what I mean. While zigzagging through the queue, we noticed garbage thrown about. I don’t recall ever seeing a trash can in this room either. Perhaps I missed them; I am not entirely sure. We got near the front of the line and an announcement came on in Mandarin indicating something happened. When the vast majority of people in the queue let out a collective sigh, we knew the attraction encountered technical difficulties. Since everyone by this point was still getting to know each other, our conversations helped pass the time. After roughly 20-30 mins, Soaring was back up and running. Our friend Bryson insisted we sit in the front, so we fumbled our way through asking the Cast Member. The pre-show is completely in Mandarin (no subtitles either), so the story was completely lost on myself and everyone else in the group. Once the attraction began, we got a quarter way through the first scene and suddenly the screen froze. What do you do when you’re high in the air with your feet dangling in front of a gigantic screen? You take a group selfie, of course. It took about 5 minutes of us sitting suspended in the air (with no announcements either) before being brought down back to Earth. We sat there for another 10 minutes while Cast Members scrambled to get everything going again. They made a few announcements in Mandarin but nothing in English, so we relied on the crowd’s reaction to gauge what was happening. I was concerned they would evacuate us off the ride and we wouldn’t get a chance to experience the attraction. 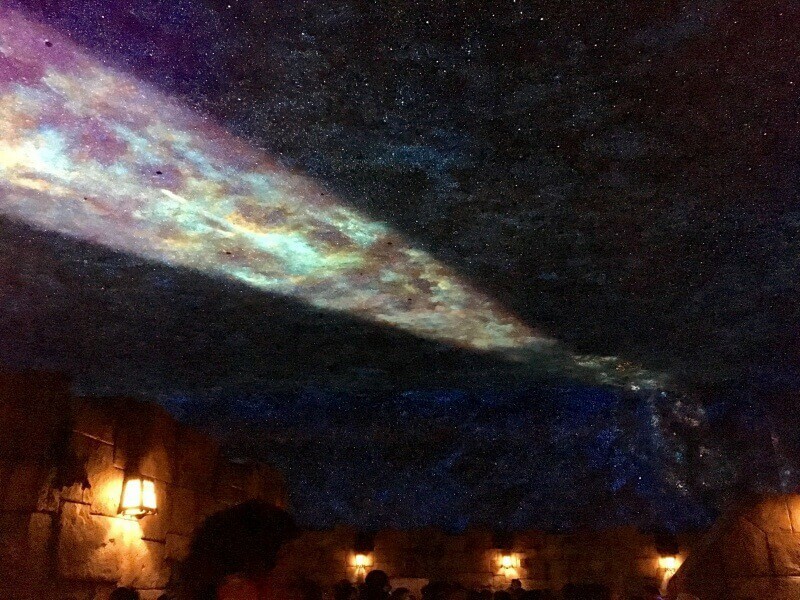 Thankfully, this was not the case and once everything was sorted, we flew back into “Soaring Over the Horizon.” The crowd’s reaction to the ending scene was the best part. Since we soar over Shanghai, it’s understandable why a vast majority of the guests got excited! I did too, and cheered along with everyone else. After a 2.5 hour immensely enjoyable endeavour, everyone was hungry yet again. 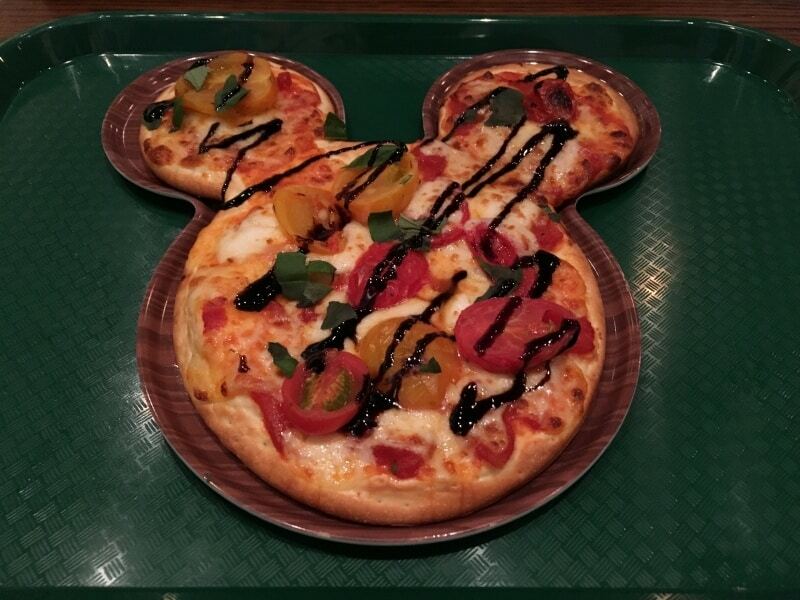 Nothing cures hunger better than food shaped like Mickey. 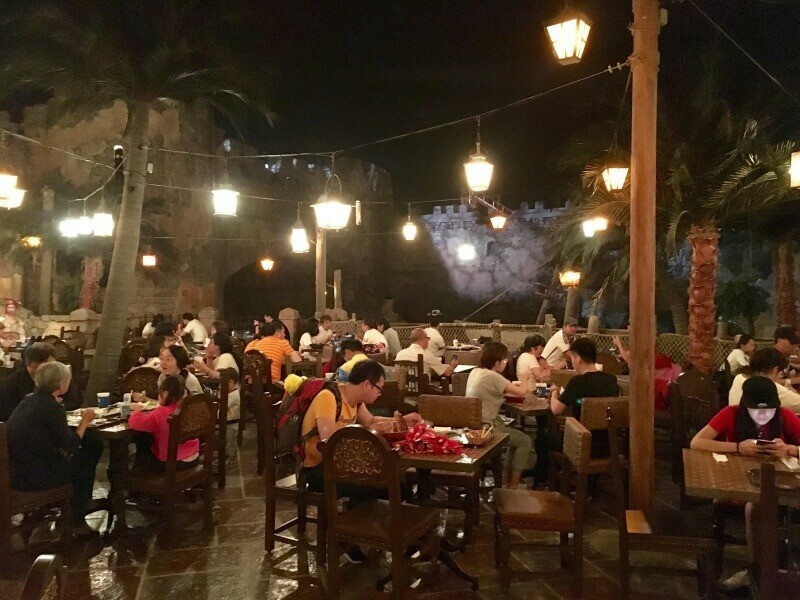 We trekked from Adventure Isle back to Fantasyland to devour their Mickey-shaped pizza that I heard so much about. 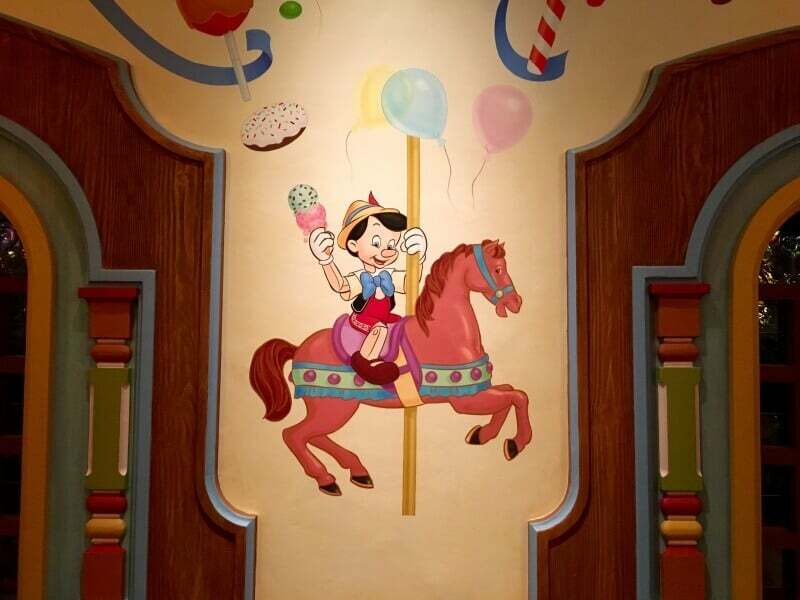 Pinocchio Village Kitchen serves three different types of food: Noodles, Pizza, and Rice Bowls. As I already mentioned, we went there for the pizza! There were enough of us that everyone got to try each of the three different pizzas—Peking Duck, Tomato & Mozzarella, and BBQ Pork & Pineapple. Now, you’re probably asking yourself, “I wonder if he will inform us as to which flavour of pizza was up to his standards?” The answer to that question is the Tomato & Mozzarella by a landslide. The added vinaigrette brought the entire pizza together and made it the winner. With that said, you can’t go wrong with the BBQ Pork & Pineapple or Peking Duck either. Getting a table was a bit of a challenge, however. The restaurant was rather busy and not many tables were open. I was the first person from the group who finished paying and was appointed “table finder”. A Cast Member—who spoke zero English—asked me politely in Mandarin (I am guessing based on her gestures) how many people in my group. I told her six in Mandarin (my one-year course in Mandarin finally came in handy) and she quickly scooted off to procure us a table. After a bit of confusion on my end, mainly because I didn’t understand what she was asking me afterwards, we got ourselves a table near the back of the restaurant. 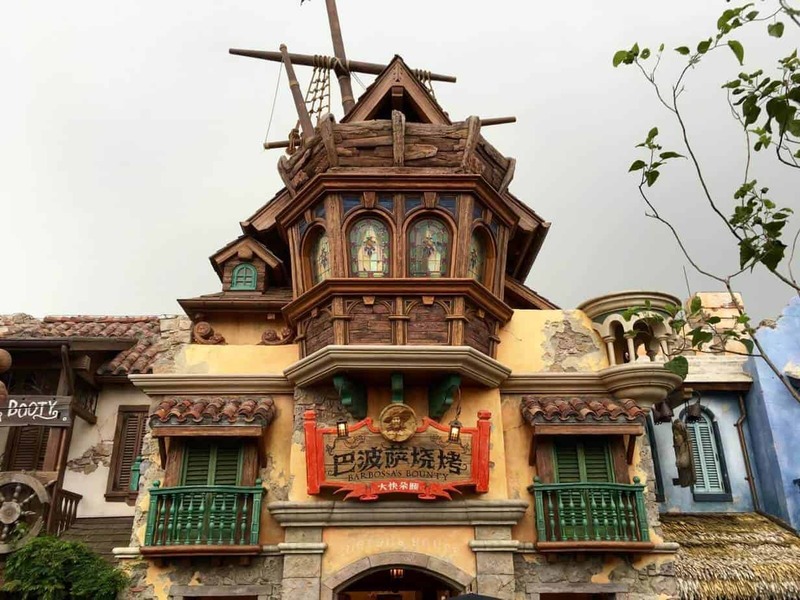 The theming itself is nothing to write home about. It’s mostly paintings on the walls with various scenes from Pinocchio. But being a counter service restaurant, the environment is designed to get you in and out quickly, so I can forgive it. Now, it was time for Ignite the Dream—the best way to end any day at a Disney Park. It was about 45 minutes before showtime and the other half of our group secured a spot at the end of Mickey Avenue, which gave us a clear view of the Enchanted Storybook Castle. The only downside to this is the castle is far away, due to the fact that the Gardens of Imagination is so huge. But I was not about to complain since we did not have to fight for the spot. No one wanted to even attempt a spot in the Garden. The show went off without a hitch, and a special fireworks show followed right after. By this point, everyone, including yours truly, was completely spent. The day was not over just yet. We needed to check into our hotel! Yes, we did a pre-check-in earlier in the day, but didn’t receive our room keys. Once we all said good night and quickly reflected on the first day, it was time to head to the buses. Taking the bus back to the hotels was quick and relatively painless. 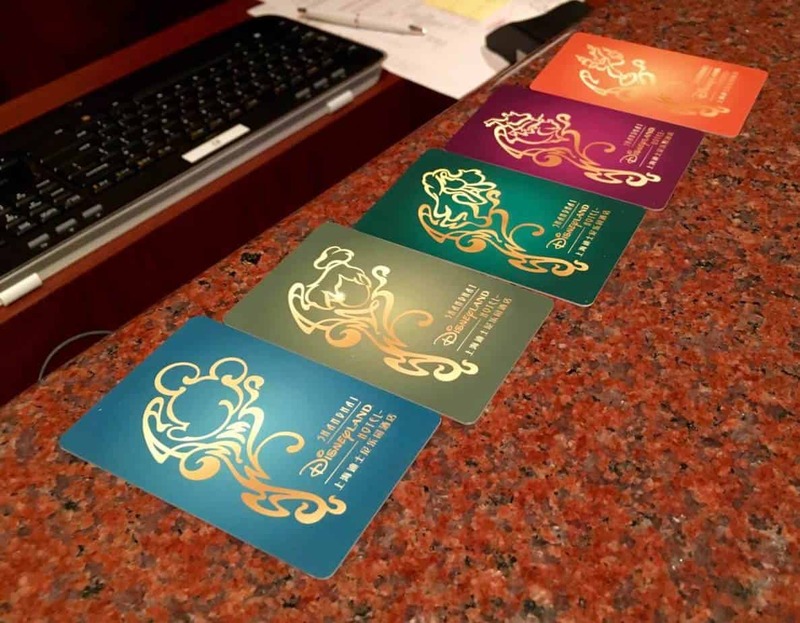 Once at the hotel, I proceeded to the check-in counter and got our room keys. One nice touch is that we got to select the design of each of our room keys! Sadly, Chip N Dale was not an option so I settled for Mickey. Our room was on the 3rd floor, which is actually the same floor as the lobby, oddly enough. We all got to our room and while still on the “Disney High,” we took photos of every inch of it. It had two queen-sized beds (one of which had the chemical pillow I requested) and a hide-a-bed under the TV. Before we knew it, everyone was fast asleep, dreaming of the next day. 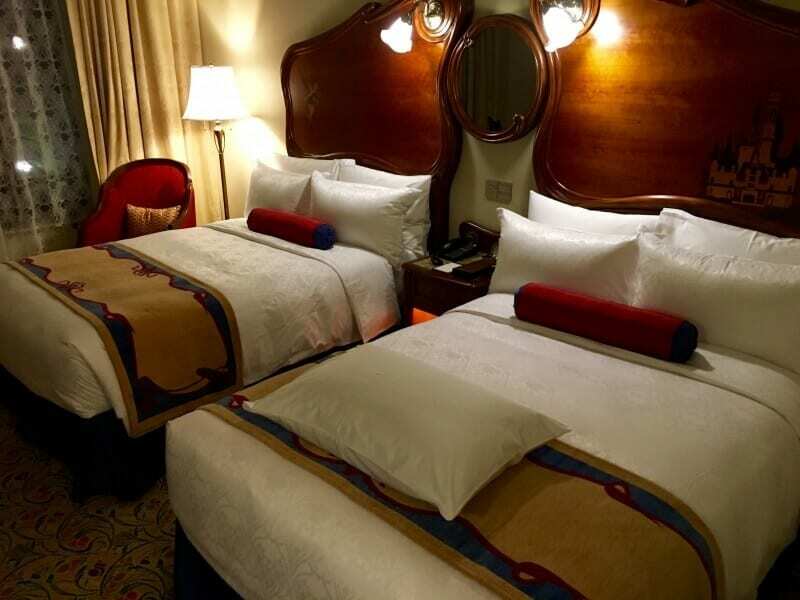 But not without sending messages to others in the group (who were staying in the hotel but different rooms) sharing our initial thoughts on each of our rooms at the Shanghai Disneyland Hotel. There you have it, the first full day at Shanghai Disneyland! While the day was long and frustrating at some points, it was full of surprises and certainly created memories everyone will remember for the rest of our lives. The best part is, that was only the first day! There’s still two more to go. 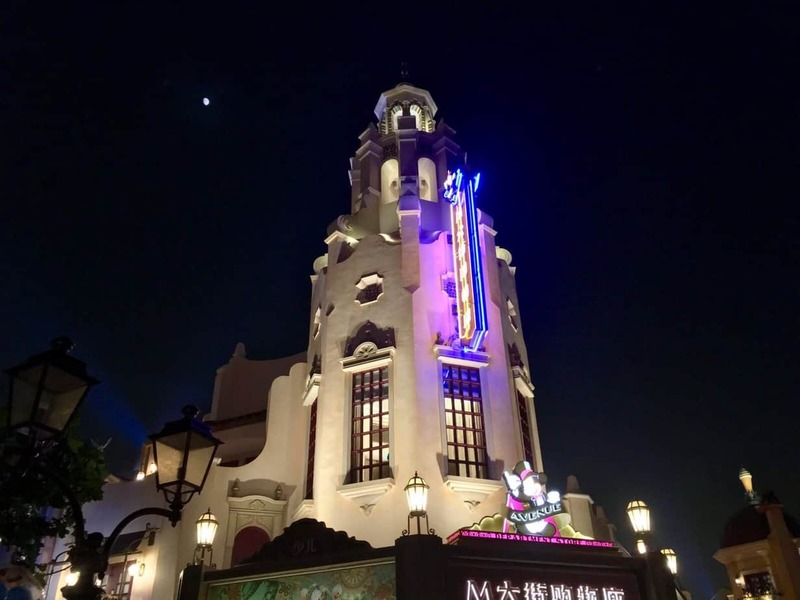 Stayed tuned for part three of our trip report of the Grand Opening of Shanghai Disneyland, where we dine with royalty and check out the Toy Story Hotel. Also featured, stories of multiple attractions breaking down on us throughout the day! 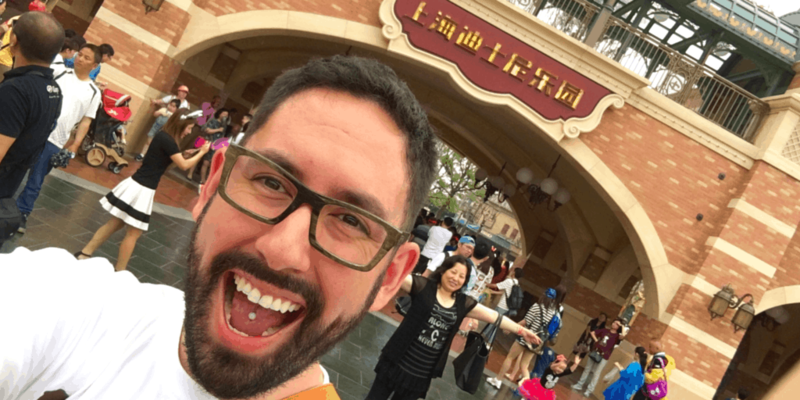 For more on Shanghai Disneyland, check out our first impressions and podcast episodes where I answer your burning questions about Shanghai Disney Resort! Thank you for reading Rob! I hope to have part three out soon. Sorry, I am not sure how large. Our one friend she had quite large calves and the restraints weren’t able to close. You’ll have to try when you get there. Have fun at Shanghai! You’re gonna love it.